With the assistance of our dedicated professionals, we are actively instrumental in offering an optimum quality array of RCC Tree Guard. Under the expert supervision of our dexterous professionals, these products are fabricated in accordance with set industrial guidelines and norms. In order to ensure the durability and quality of these products, our expert quality controllers stringently examine these products on diverse parameters. 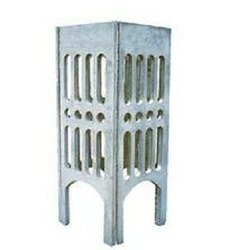 Looking for RCC Tree Guard ?